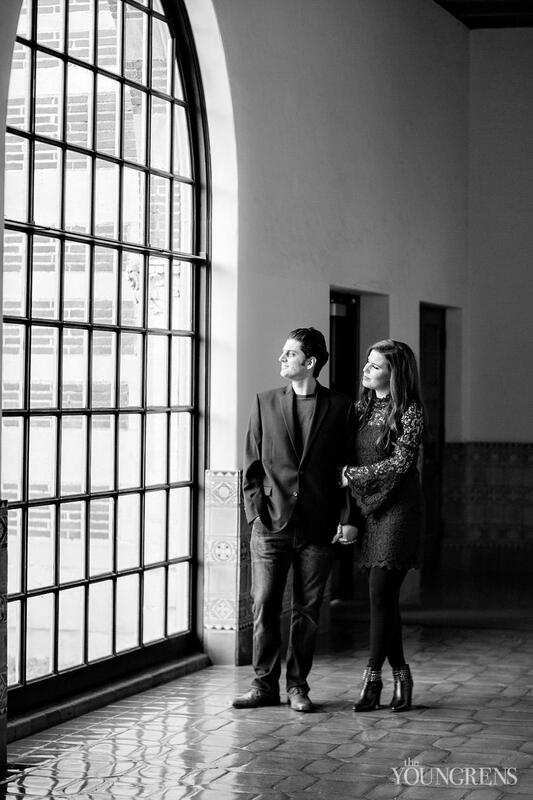 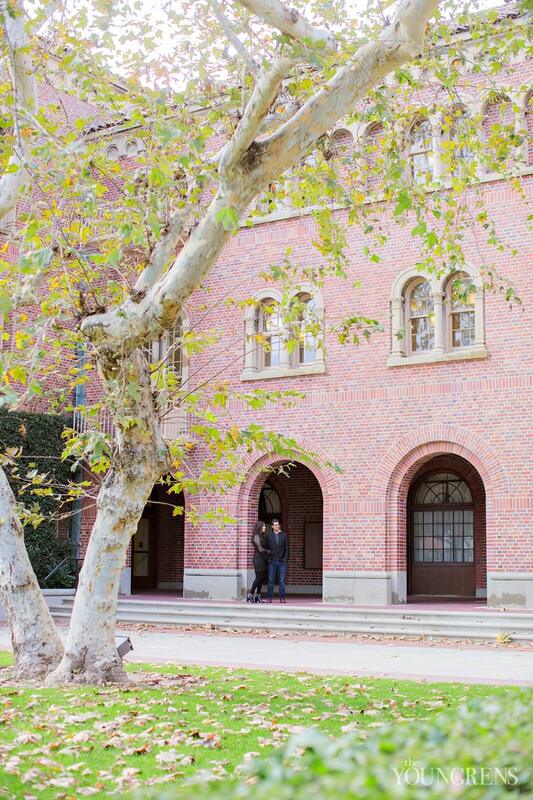 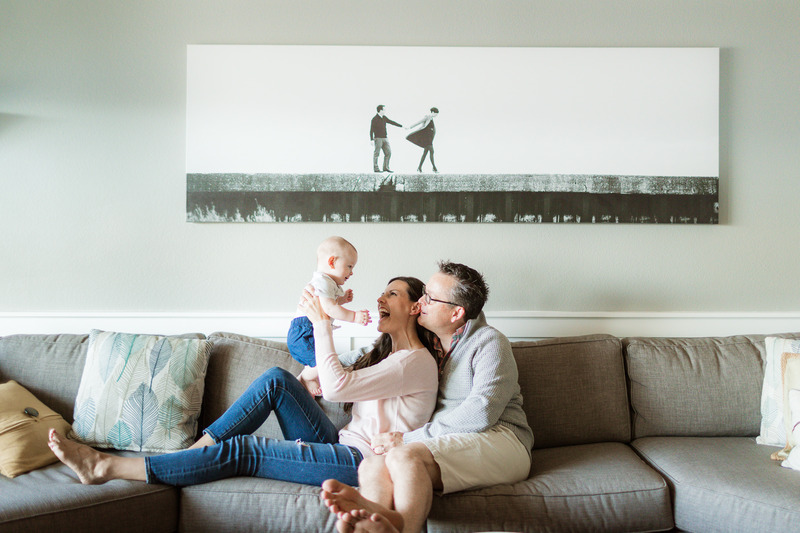 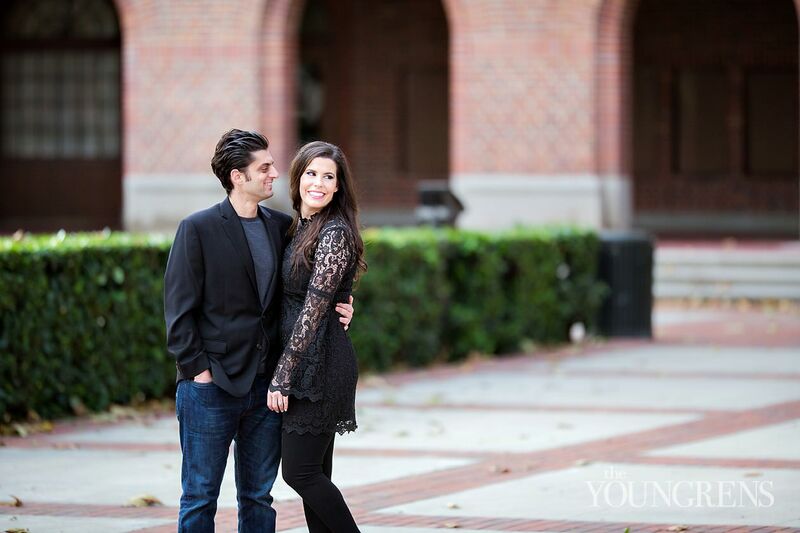 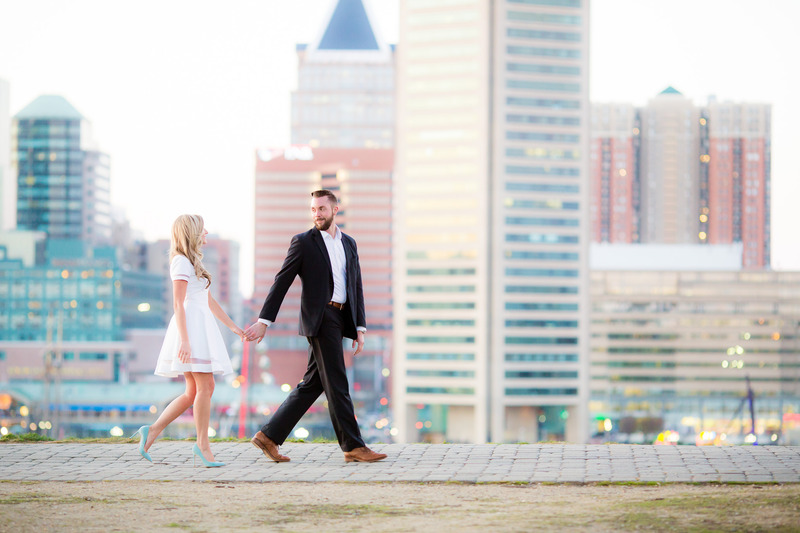 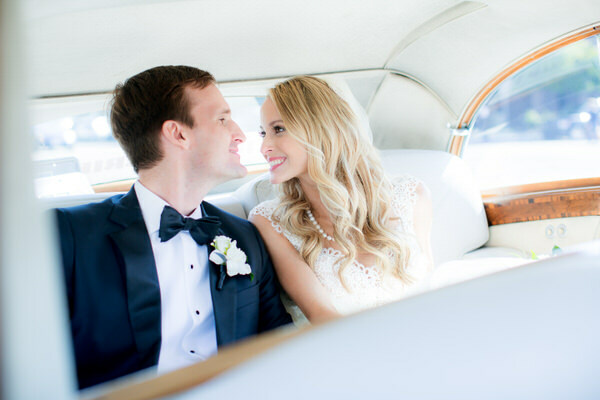 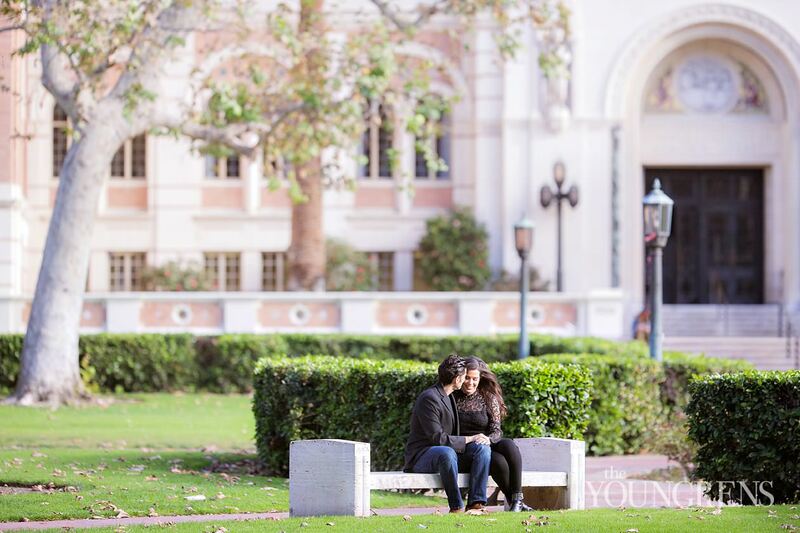 Greg and Stacy lived parallel lives while attending USC. 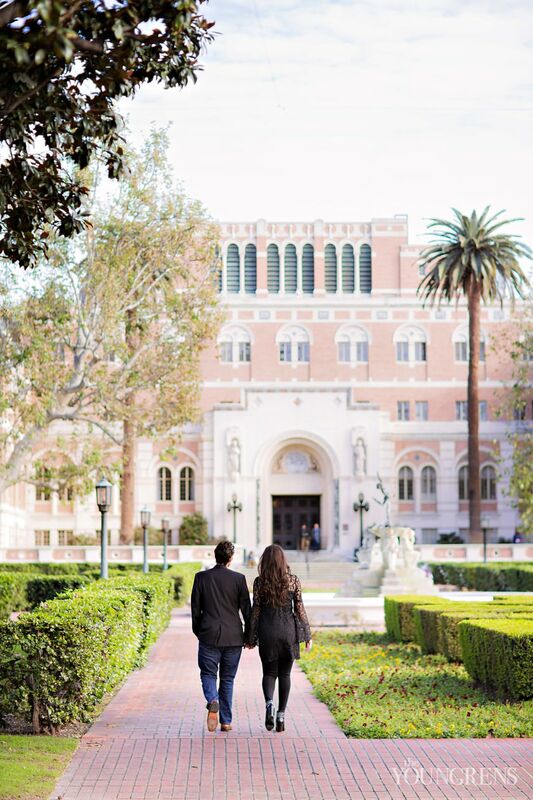 They attended the same lectures, they cheered at the same football games, and they laughed with the same friends.But their two parallel paths never intersected.Like two dancers, they floated around each other in harmony, but never bumped shoulders. 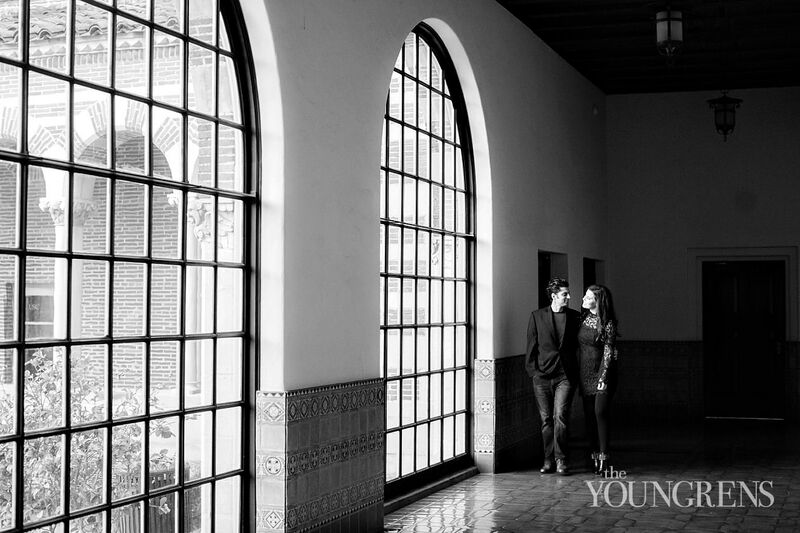 They never knew that their destiny was just an arms reach and a sashay away.Not until much later - that is. 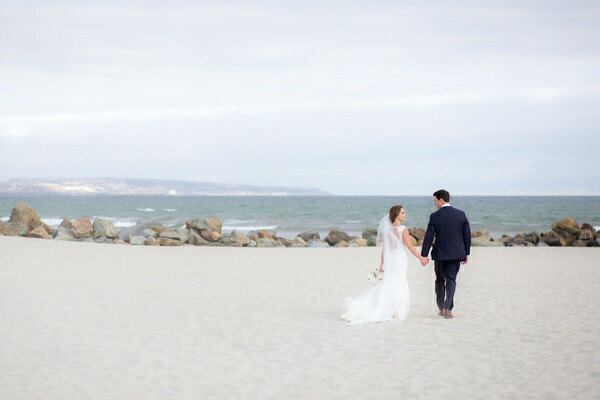 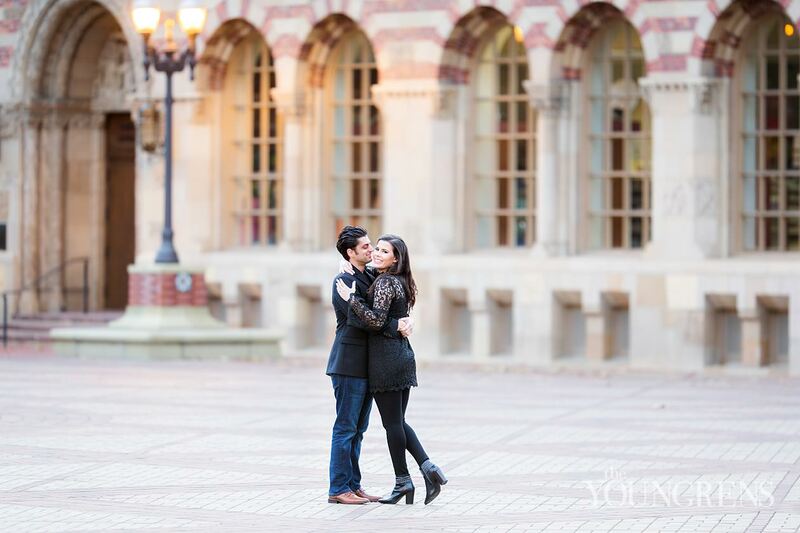 When they met at his birthday party and realized they were both USC peeps, they couldn’t believe how close they had been in proximity to one another for so many years in college. 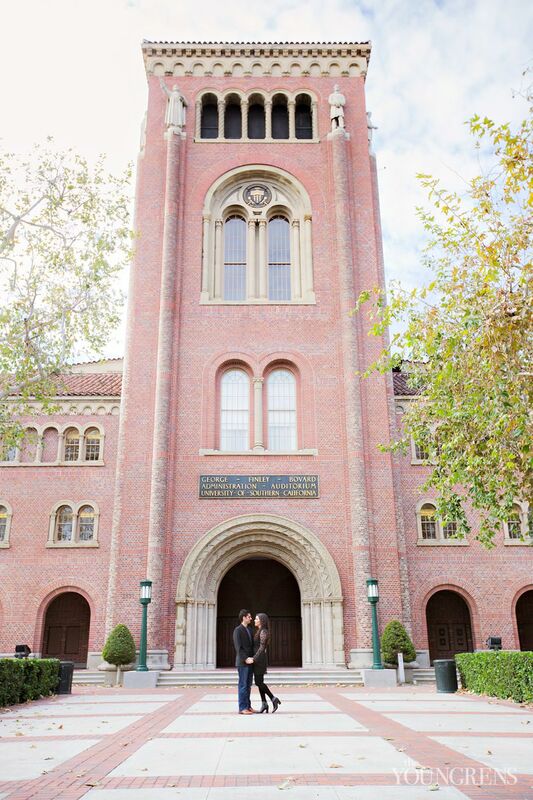 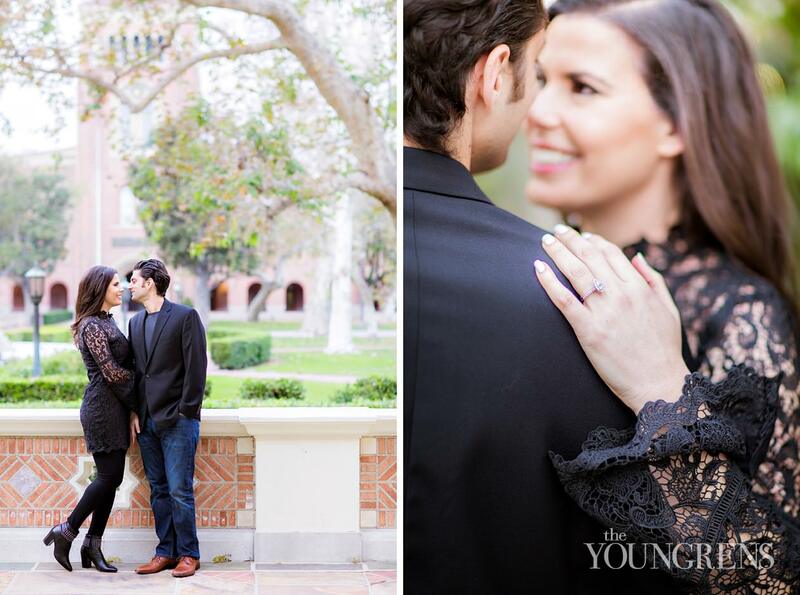 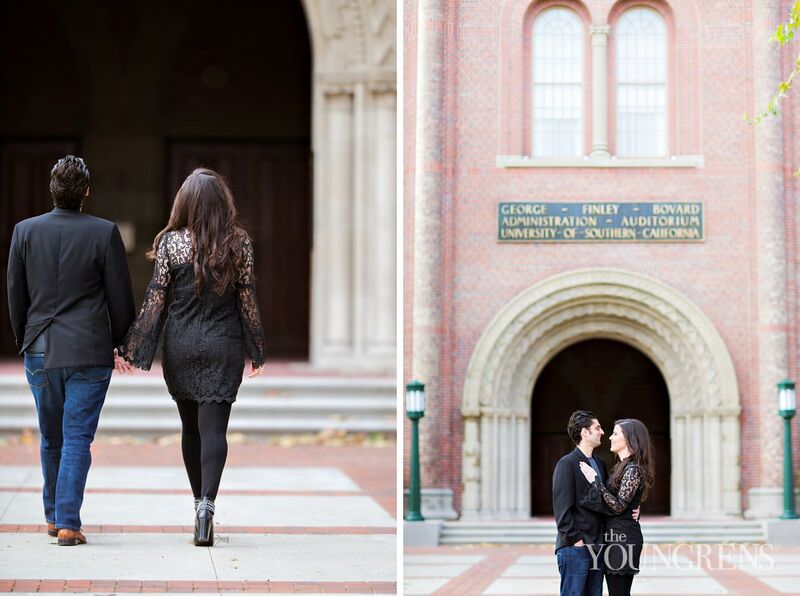 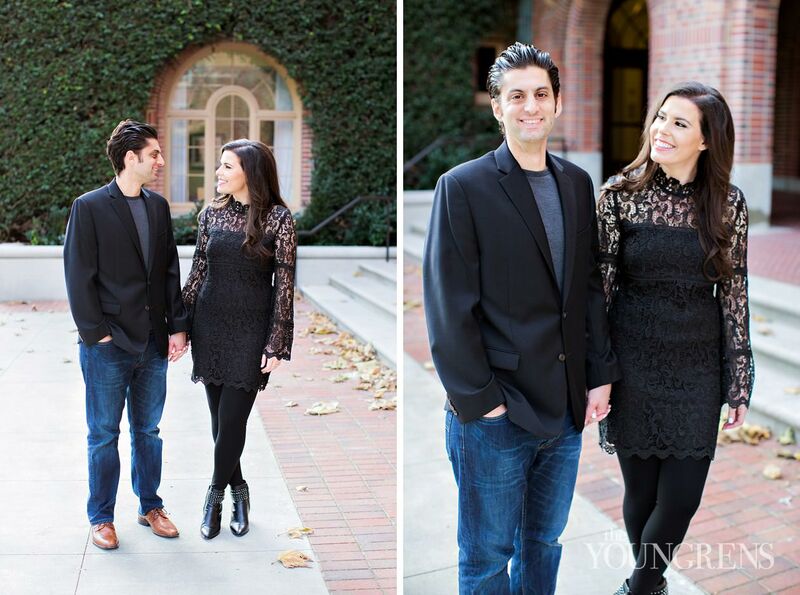 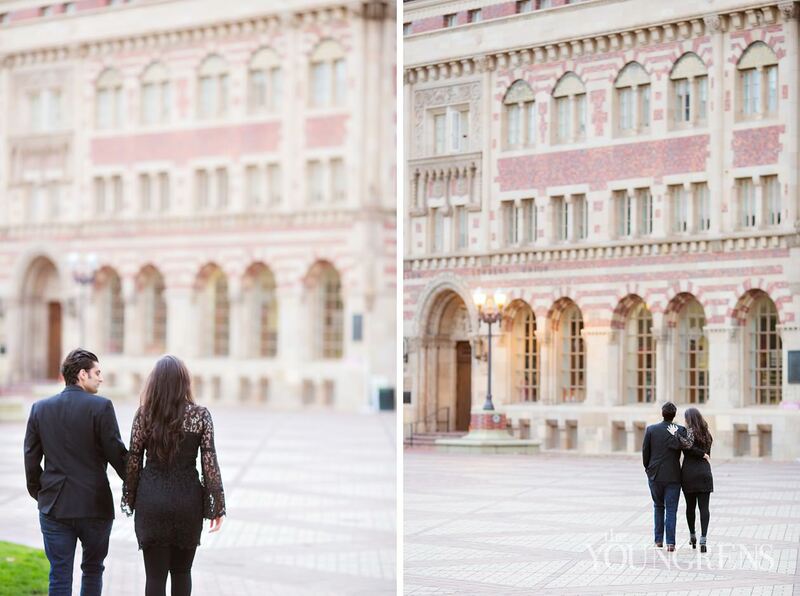 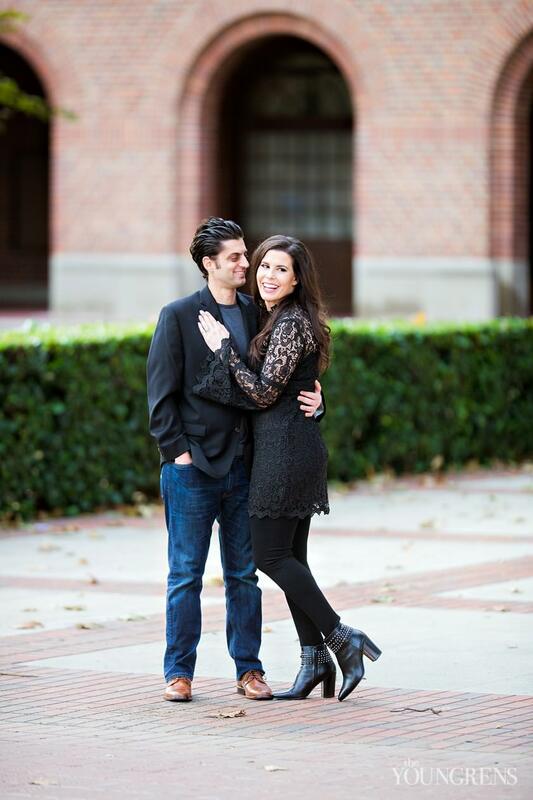 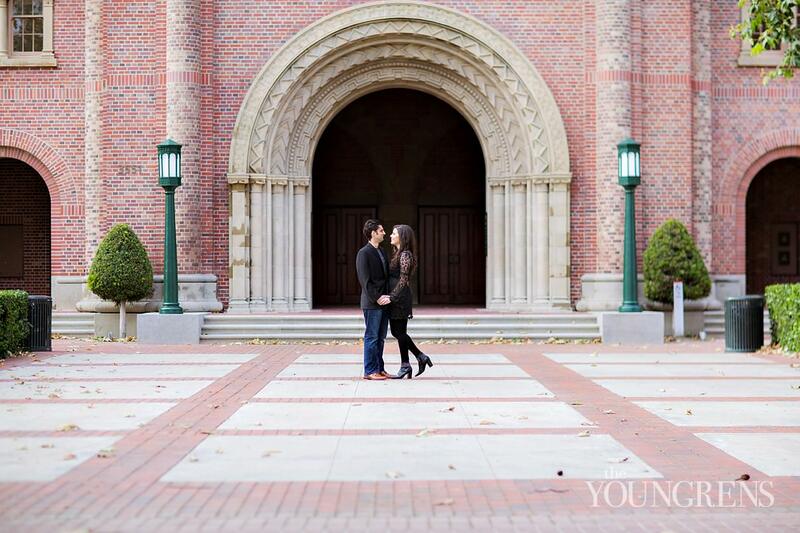 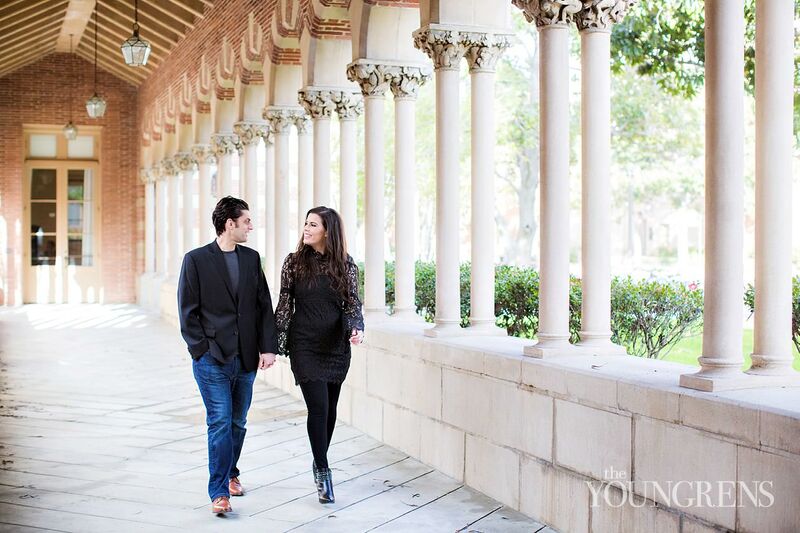 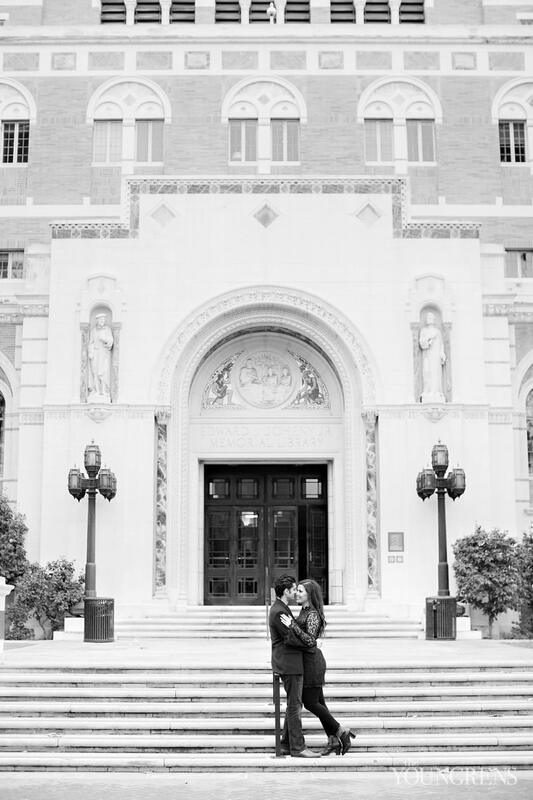 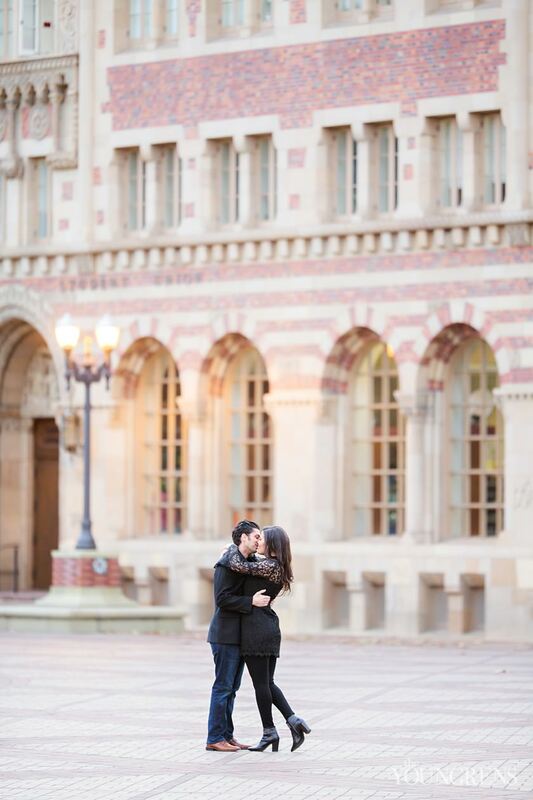 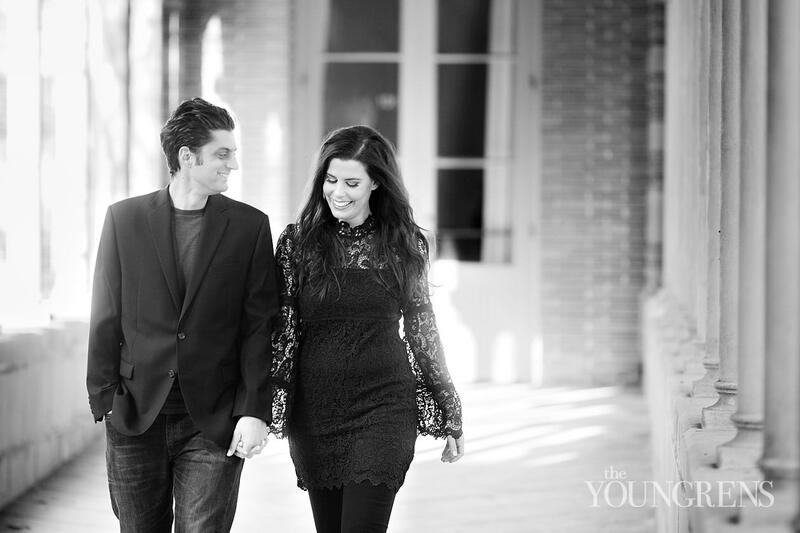 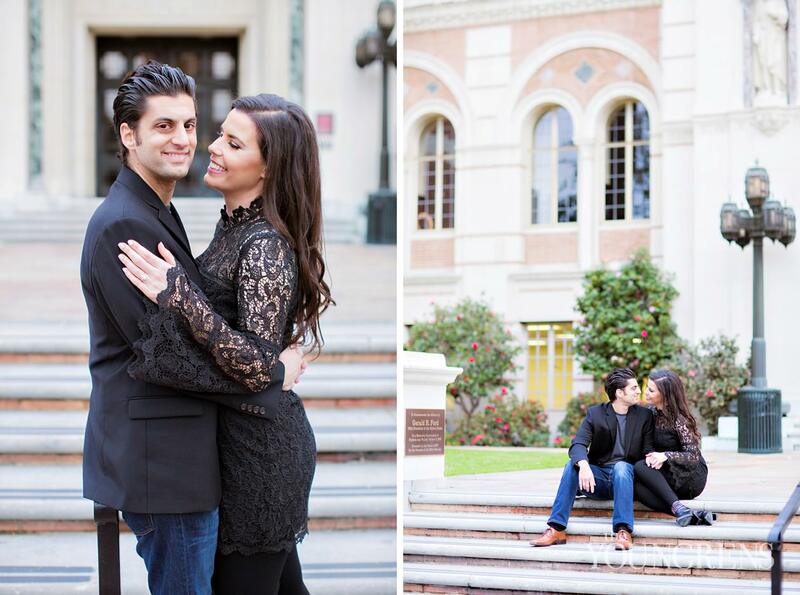 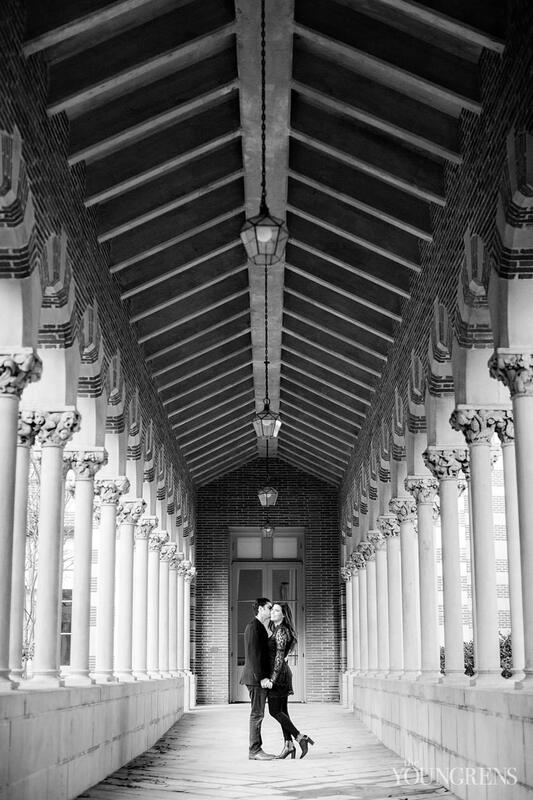 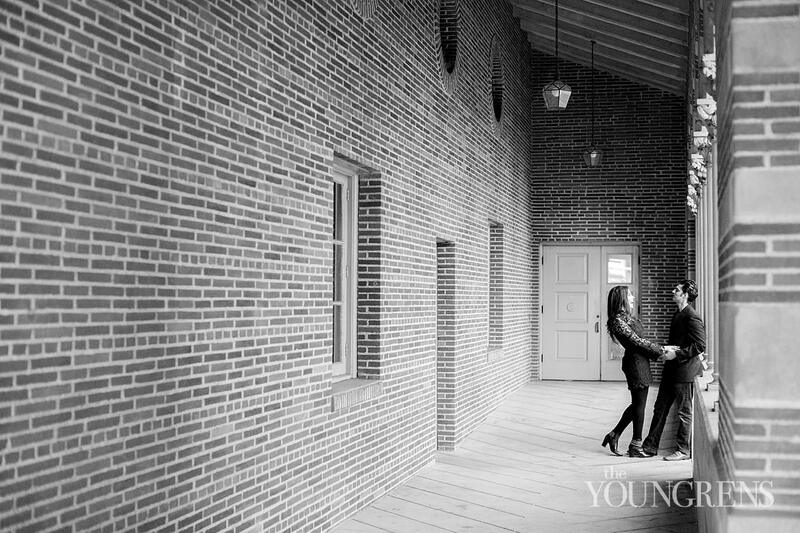 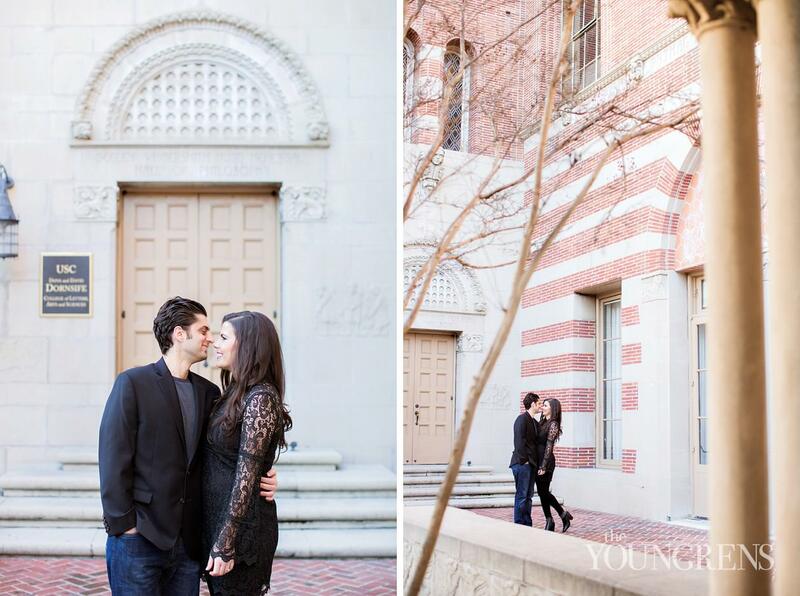 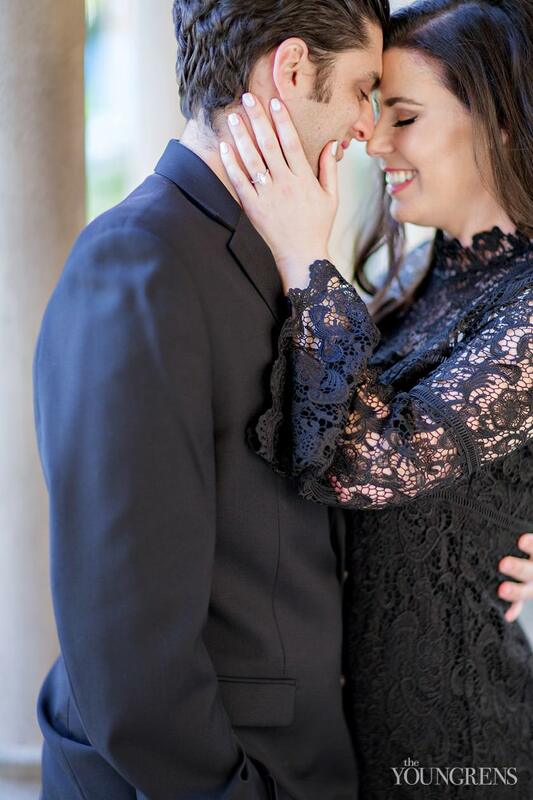 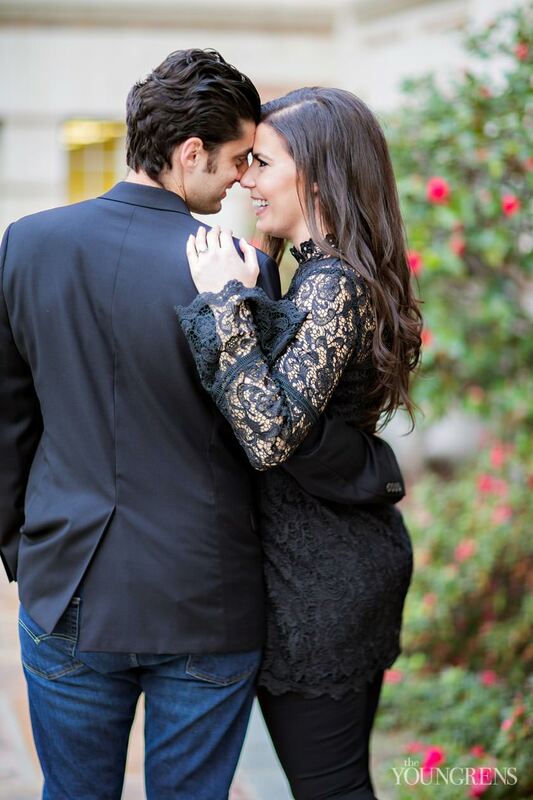 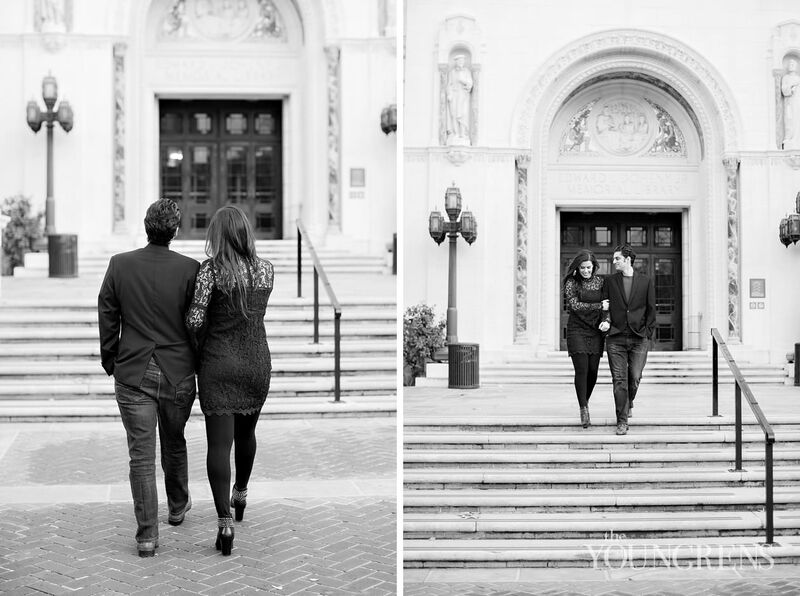 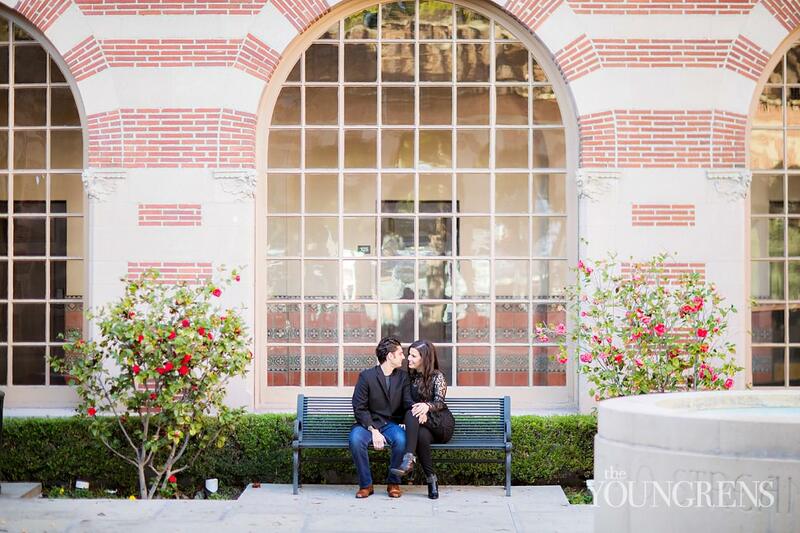 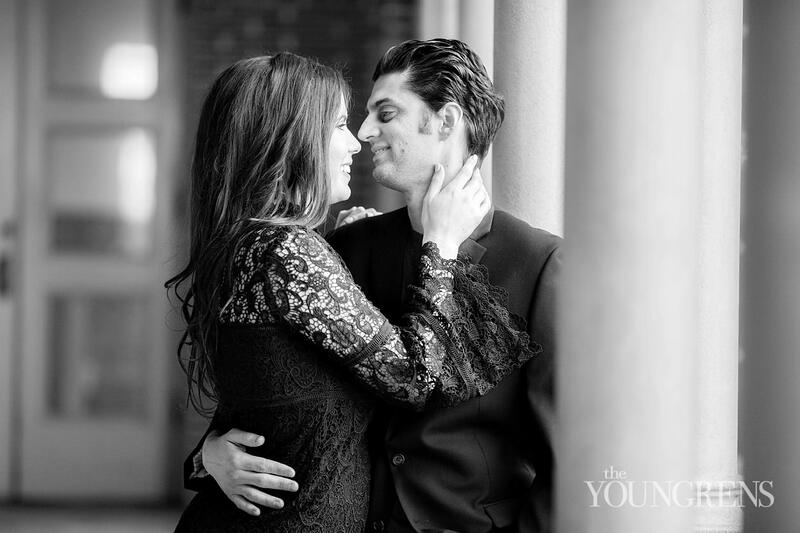 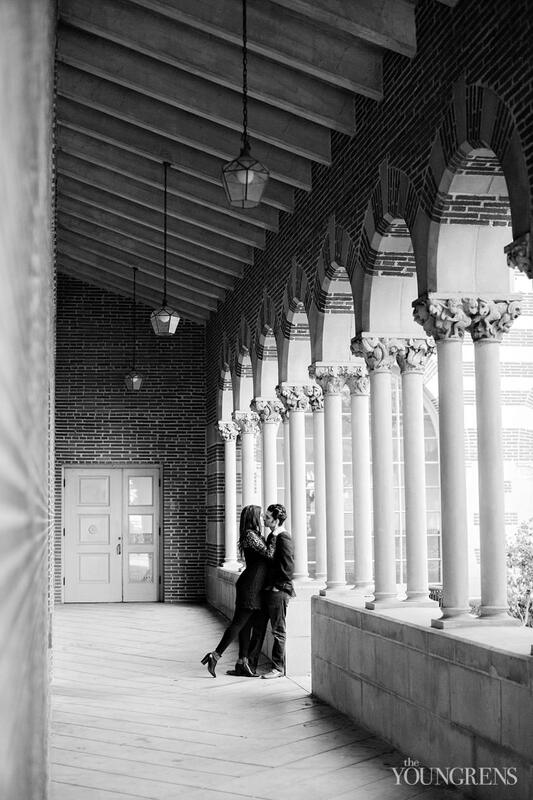 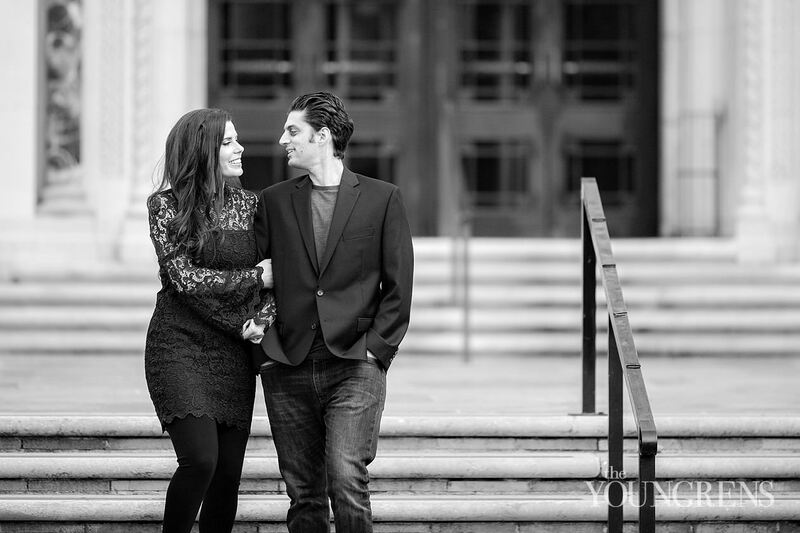 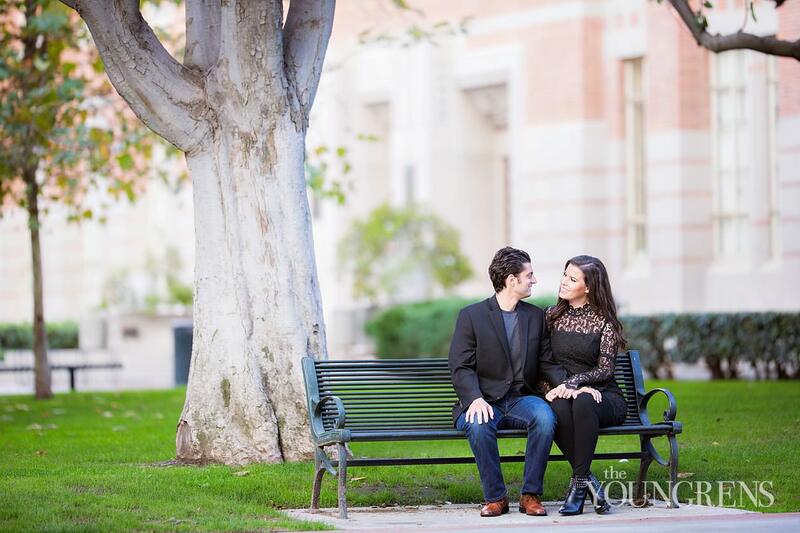 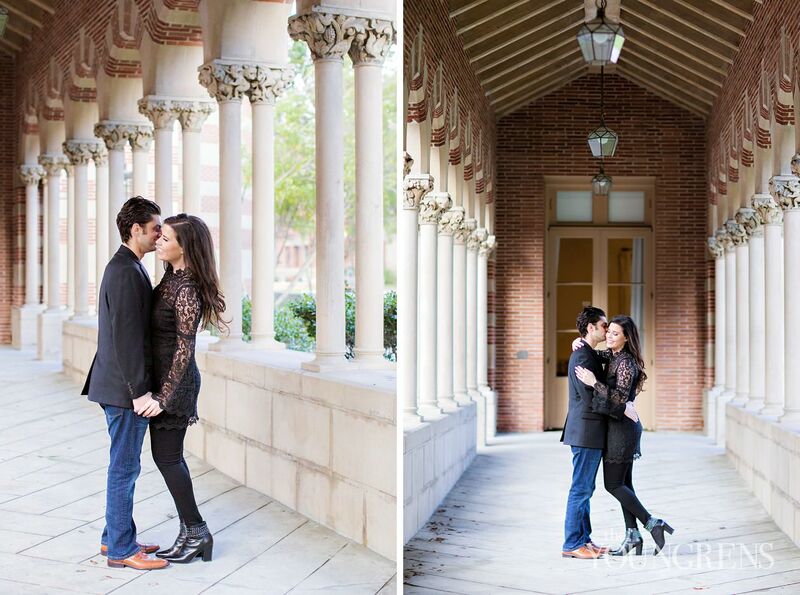 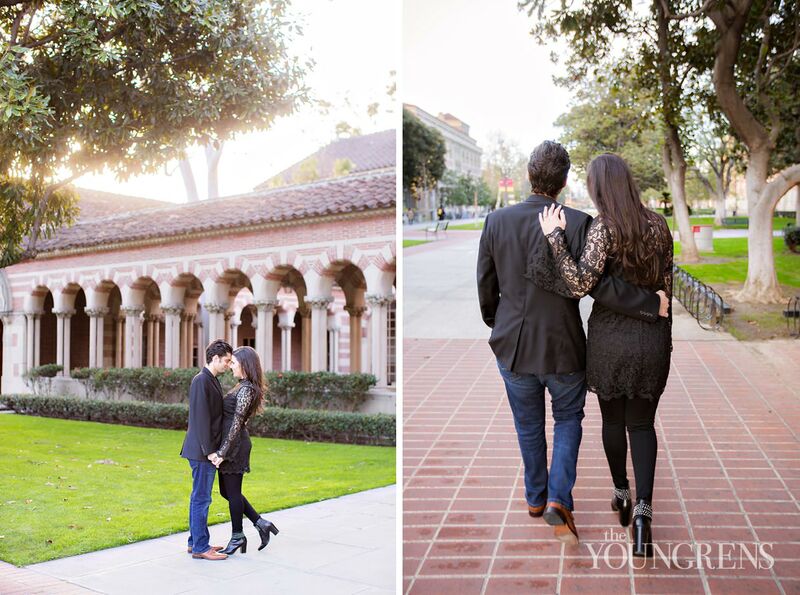 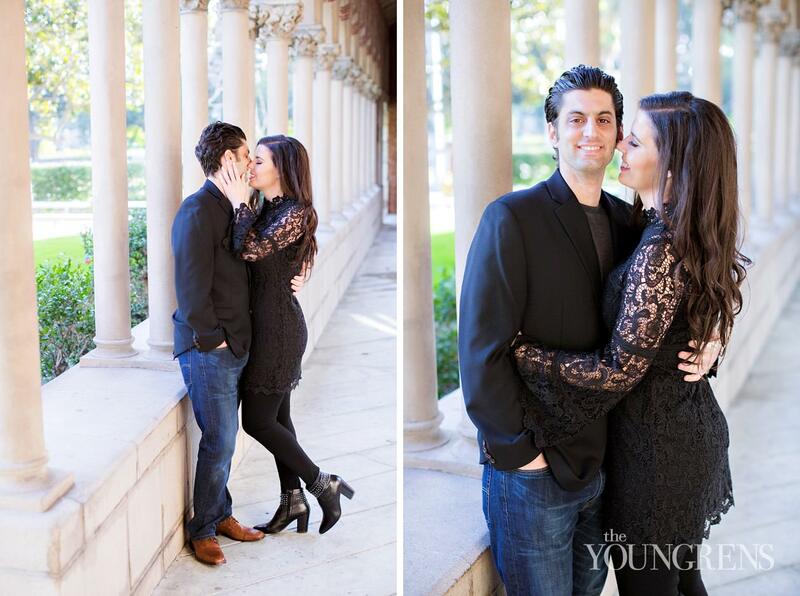 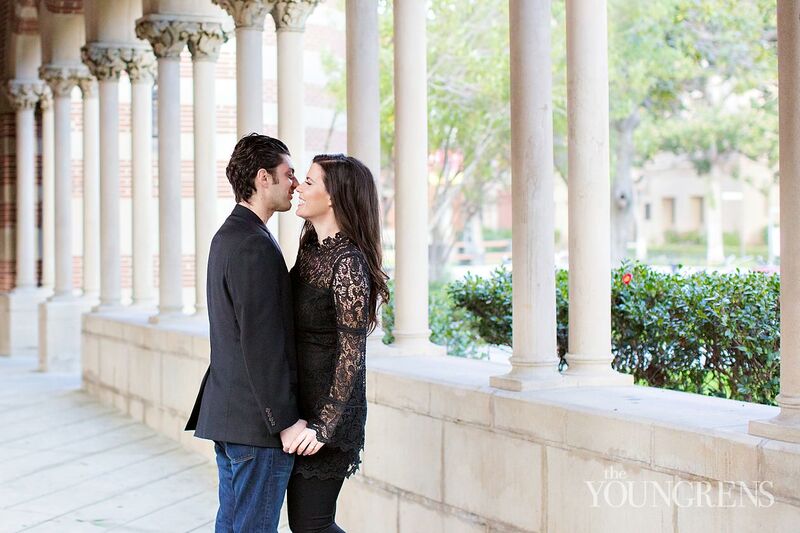 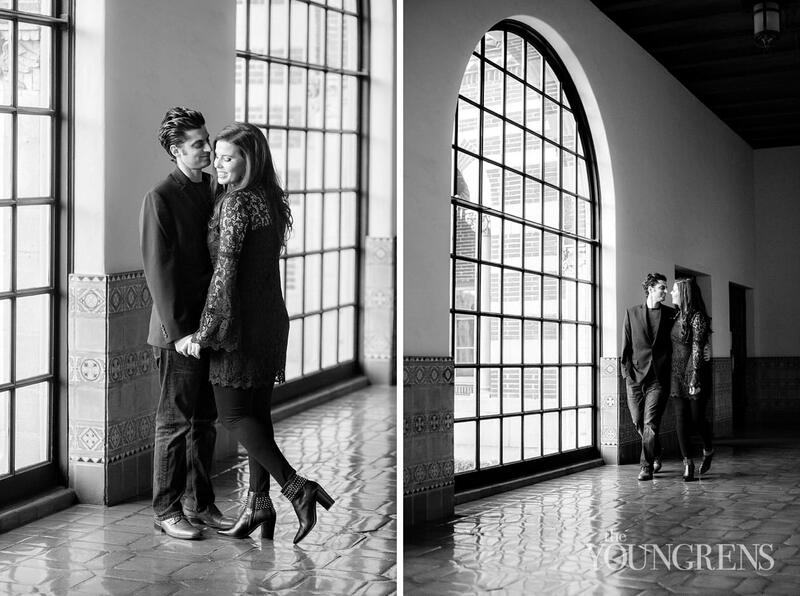 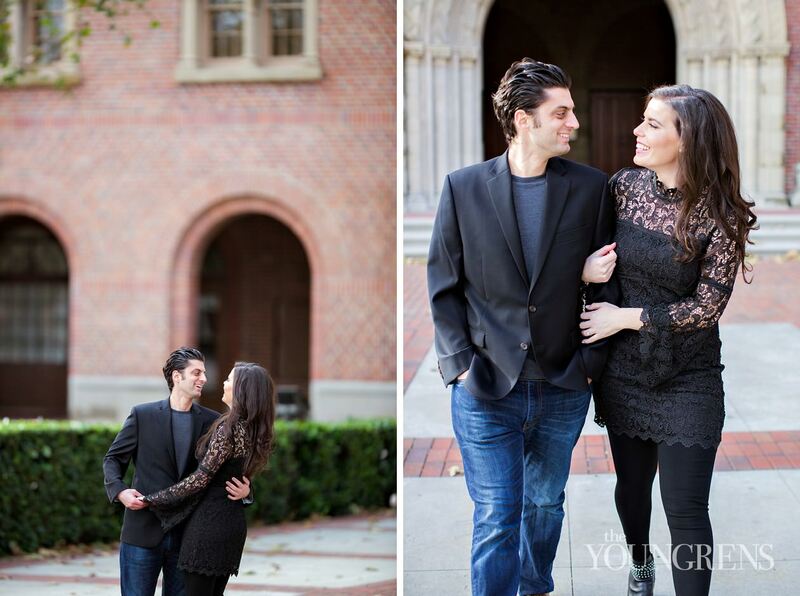 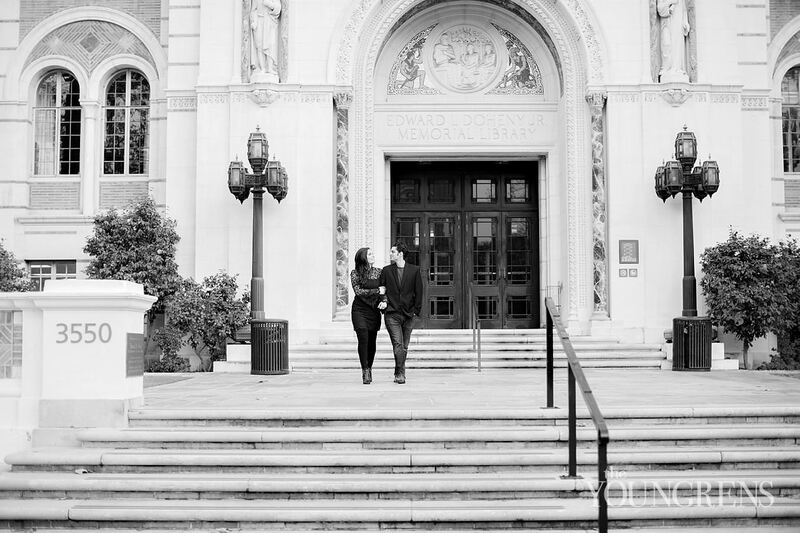 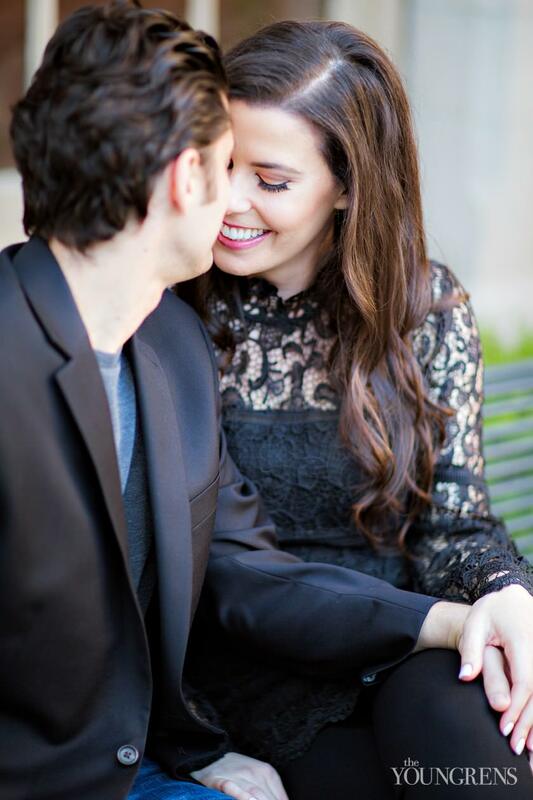 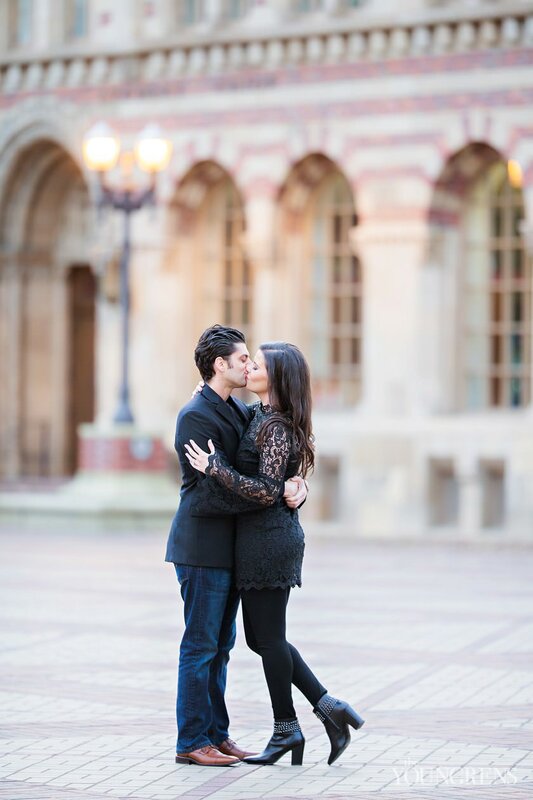 And it was the fact that they both shared history with USC that brought them together.Which makes their engagement session at USC so much more meaningful. 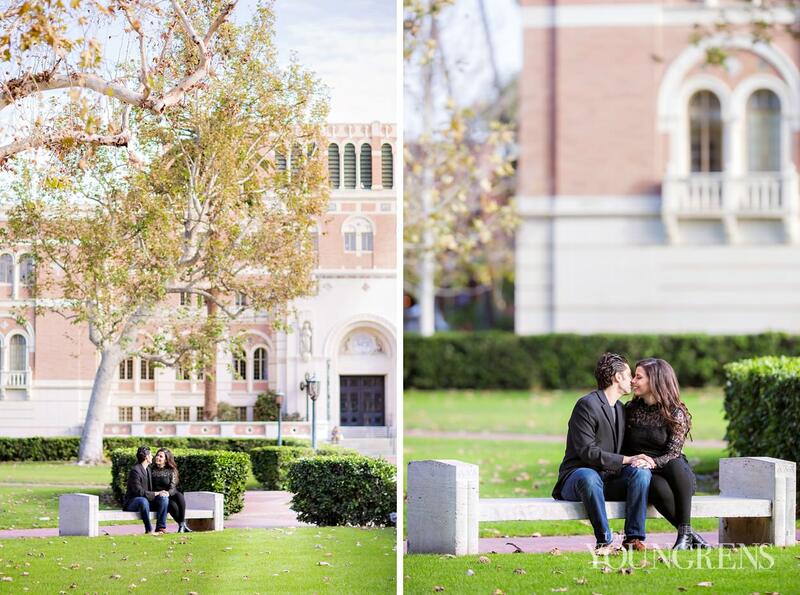 These days, they love USC together - they share seats at football games and ‘kick the pole’ together for good luck on their way to the stadium.So it only made sense to photograph them at USC for their session to document their “togetherness” that really does happen here now.Because even though it’s not where they met, it’s where their story really begins.